Is Henry James's 'The Portrait of a Lady' the Great American Novel? A revelatory biography of the American master as told through the lens of his greatest novel. 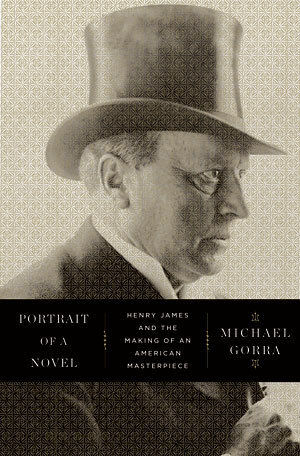 Henry James (1843–1916) has had many biographers, but Michael Gorra has taken an original approach to this great American progenitor of the modern novel, combining elements of biography, criticism, and travelogue in re-creating the dramatic backstory of James’s masterpiece, Portrait of a Lady (1881). Gorra, an eminent literary critic, shows how this novel—the scandalous story of the expatriate American heiress Isabel Archer—came to be written in the first place. Traveling to Florence, Rome, Paris, and England, Gorra sheds new light on James’s family, the European literary circles—George Eliot, Flaubert, Turgenev—in which James made his name, and the psychological forces that enabled him to create this most memorable of female protagonists. Appealing to readers of Menand’s The Metaphysical Club and McCullough’s The Greater Journey, Portrait of a Novel provides a brilliant account of the greatest American novel of expatriate life ever written. It becomes a piercing detective story on its own.